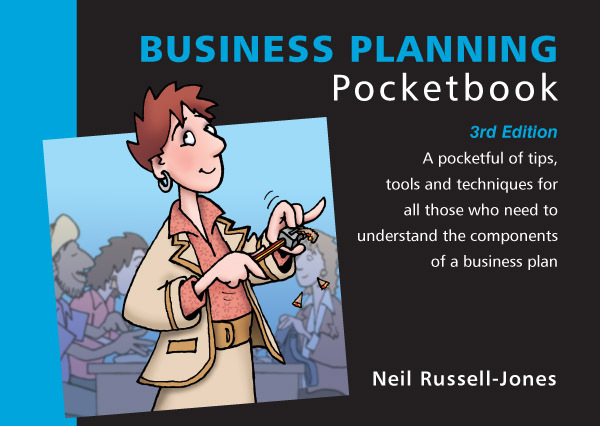 The Business Planning Pocketbook (3rd Edition) explains what issues to address, how to write a business plan, what questions to ask, how much detail to include and the time-frame to adopt. In the chapter on planning theory the author identifies eight different planning styles, followed in the next chapter with a description of the seven stages of the planning process. In his summary the author says: ‘A plan is a statement of what you intend to achieve, how, when and with what resources’. A complex subject made simple. Author Neil Russell-Jones is widely published, speaks internationally, lectures and is a special advisor for the Princes Youth Business Trust. In the Management Pocketbooks Series he has also written books on decision-making, strategy, managing change and marketing.